Indian English is any of the forms of English characteristic of India. English has slowly become one of the lingua francas of the Indian subcontinent (including Pakistan, Bangladesh, Nepal, Sri Lanka), and is the language of the cultural, social and political elite, offering significant economic, political, and social advantage to fluent speakers. Though English is one of the two official languages of the Union Government of India, only a few hundred thousand Indians have English as their first language. According to the 2005 India Human Development Survey, of the 41,554 surveyed households reported that 72 percent of men (29,918) did not speak any English, 28 percent (11,635) spoke at least some English, and 5 percent (2,077, roughly 17.9% of those who spoke at least some English) spoke fluent English. Among women, the corresponding percentages were 83 percent (34,489) speaking no English, 17 percent (7,064) speaking at least some English, and 3 percent (1,246, roughly 17.6% of those who spoke at least some English) speaking English fluently. According to statistics of District Information System for Education (DISE) of National University of Educational Planning and Administration under Ministry of Human Resource Development, Government of India, enrollment in English-medium schools increased by 50% between 2008–09 and 2013–14. The number of English-medium school students in India increased from over 15 million in 2008–09 to 29 million by 2013–14. In December 2015, the Supreme Court of India ruled that English is the only court language. India ranks 22 out of 72 countries in the 2016 EF English Proficiency Index published by the EF Education First. The index gives the country a score of 57.30 indicating "moderate proficiency". India ranks 4th out of 19 Asian countries included in the index. Among Asian countries, Singapore (63.52), Malaysia (60.70) and the Philippines (60.33) received higher scores than India. Indian English generally uses the Indian numbering system. Idiomatic forms derived from Indian literary languages and vernaculars have been absorbed into Indian English. Nevertheless, there remains general homogeneity in phonetics, vocabulary, and phraseology between variants of the Indian English dialect. English language public instruction began in India in the 1830s during the rule of the East India Company (India was then, and is today, one of the most linguistically diverse regions of the world). In 1837, English replaced Persian as the official language of the Company. Lord Macaulay played a major role in introducing English and western concepts to education in India. He supported the replacement of Persian by English as the official language, the use of English as the medium of instruction in all schools, and the training of English-speaking Indians as teachers. Throughout the 1840s and 1850s, primary-, middle-, and high-schools were opened in many districts of British India, with most high schools offering English language instruction in some subjects. In 1857, just before the end of Company rule, universities modelled on the University of London and using English as the medium of instruction were established in Bombay, Calcutta and Madras. During subsequent Crown Rule in India, or the British Raj, lasting from 1858 to 1947, English language penetration increased throughout India. This was driven in part by the gradually increasing hiring of Indians in the civil services. At the time of India's independence in 1947, English was the only functional lingua franca in the country. After Indian Independence in 1947, Hindi was declared the first official language, and attempts were made to declare Hindi the sole national language of India. Due to protests from Tamil Nadu and other non-Hindi-speaking states, it was decided to temporarily retain English for official purposes until at least 1965. By the end of this period, however, opposition from non-Hindi states was still too strong to have Hindi declared the sole language. With this in mind, the English Language Amendment Bill declared English to be an associate language "until such time as all non-Hindi States had agreed to its being dropped." This hasn't yet occurred, and it is still widely used. For instance, it is the only reliable means of day-to-day communication between the central government and the non-Hindi states. The view of the English language among many Indians has gone from associating it with colonialism to associating it with economic progress, and English continues to be an official language of India. While there is an assumption that English is readily available in India, available studies show that its usage is actually restricted to an elite, because of inadequate education to large parts of the Indian population. The use of outdated teaching methods and the poor grasp of English exhibited by the authors of many guidebooks, disadvantage students who rely on these books. Indian accents vary greatly. Most Indians lean toward a more vernacular, native-tinted accent for their English speech. Modern Indians, especially a minority of English students and teachers along with some people in various professions like telephone customer service agents, often leave the 'r' silent in words where a vowel is followed by the 'r'. So, flower is pronounced as flaʊə, never as nev.ə, water as wɔː.tə etc. Some Indian speakers, especially in the South, often do not pronounce the rounded /ɒ/ or /ɔː/, and substitute /a/ instead. This makes not sound as [nat]. The phoneme /ɔː/, if used, is only semi-rounded at the lips.. Similarly, in South India coffee will be pronounced kaafi, copy will be kaapi, lock will be laak etc. Words such as class, staff and last would be pronounced with a back /a/ i.e., [klɑːs], [stɑːf], and [lɑːst]. Most Indians have the trap–bath split of Received Pronunciation but some Indians of the younger generation who try to imitate American English do not have this split. Though the trap-bath is prevalent in Indian English, it varies greatly. The distribution is somewhat similar to Australian English in Regional Indian English varieties, but it has a complete split in Cultivated Indian English and Standard Indian English varieties. Words like cast is pronounced as kɑːst, castle as kɑː.səl, fast as fɑːst, task as tɑːsk and so on. Similarly, words with 'o' also have similarities with the latter with the exception of those from South India who have similarities with Americans as mentioned above(refer to point 3). Pronunciations vary between rhotic and non-rhotic; with pronunciations leaning towards native phonology being generally rhotic, and others being non-rhotic. Standard Hindi and most other vernaculars (except Punjabi, Marathi, Assamese and Bengali) do not differentiate between /v/ (voiced labiodental fricative) and /w/ (voiced labiovelar approximant). Instead, many Indians use a frictionless labiodental approximant [ʋ] for words with either sound, possibly in free variation with [v] and/or [w] depending upon region. Thus, wet and vet are often homophones. Related to the previous characteristic, many Indians prefer to pronounce words such as <flower> as [flaː(r)], as opposed to [flaʊə(r)], and <our> as [aː(r)], as opposed to [aʊə(r)]. The voiceless plosives /p/, /t/, /k/ are always unaspirated in Indian English, (aspirated in cultivated form) whereas in RP, General American and most other English accents they are aspirated in word-initial or stressed syllables. Thus "pin" is pronounced [pɪn] in Indian English but [pʰɪn] in most other dialects. In native Indian languages (except in Dravidian languages such as Tamil), the distinction between aspirated and unaspirated plosives is phonemic, and the English stops are equated with the unaspirated rather than the aspirated phonemes of the local languages. The same is true of the voiceless postalveolar afficate /tʃ/. The alveolar stops English /d/, /t/ are often retroflex [ɖ], [ʈ], especially in the South of India. In Indian languages there are two entirely distinct sets of coronal plosives: one dental and the other retroflex. Native speakers of Indian languages prefer to pronounce the English alveolar plosives sound as more retroflex than dental, and the use of retroflex consonants is a common feature of Indian English. In the Devanagari script of Hindi, all alveolar plosives of English are transcribed as their retroflex counterparts. One good reason for this is that unlike most other native Indian languages, Hindi does not have true retroflex plosives (Tiwari,  2001). The so-called retroflexes in Hindi are actually articulated as apical post-alveolar plosives, sometimes even with a tendency to come down to the alveolar region. So a Hindi speaker normally cannot distinguish the difference between their own apical post-alveolar plosives and English's alveolar plosives. However, languages such as Tamil have true retroflex plosives, wherein the articulation is done with the tongue curved upwards and backwards at the roof of the mouth. This also causes (in parts of Uttar Pradesh and Bihar) the /s/ preceding alveolar /t/ to allophonically change to [ʃ] (<stop> /stɒp/ → /ʃʈap/). Mostly in south India, some speakers allophonically further change the voiced retroflex plosives to voiced retroflex flap, and the nasal /n/ to a nasalised retroflex flap. Many speakers of Indian English do not use the voiced postalveolar fricative (/ʒ/). Some Indians use /z/ or /dʒ/ instead, e.g. treasure /ˈtrɛzəːr/, and in the south Indian variants, with /ʃ/ as in <"sh'"ore>, e.g. treasure /ˈtrɛʃər/. All major native languages of India (except Bengali) lack the dental fricatives (/θ/ and /ð/; spelled with th). Usually, the aspirated voiceless dental plosive [t̪ʰ] is substituted for /θ/ in the north (it would be unaspirated in the south) and the unaspirated voiced dental plosive [d̪], or possibly the aspirated version [d̪ʱ], is substituted for /ð/. For example, "thin" would be realised as [t̪ʰɪn] instead of /θɪn/ for North Indian speakers, whereas it would be pronounced unaspirated in the south. South Indians tend to curl the tongue (retroflex accentuation) more for /l/ and /n/. Most Indian languages (except Urdu varieties) lack the voiced alveolar fricative /z/. A significant portion of Indians thus, even though their native languages do have its nearest equivalent: the unvoiced /s/, often use the voiced palatal affricate (or postalveolar) /dʒ/, just as with a Korean accent. This makes words such as <zero> and <rosy> sound as [ˈdʒiːro] and [ˈroːdʒiː] (the latter, especially in the North). This replacement is equally true for Persian and Arabic loanwords into Hindi. The probable reason is the confusion created by the use of the Devanagari grapheme < ज > (for /dʒ/) with a dot beneath it to represent the loaned /z/ (as < ज़ >). This is common among people without formal English education. Many Indians with lower exposure to English also may pronounce /f/ as aspirated voiceless bilabial plosive [pʰ]. Again note that in Hindi (Devanagari) the loaned /f/ from Persian and Arabic is written by putting a dot beneath the grapheme for native [pʰ] < फ >: < फ़ >. This substitution is rarer than that for [z], and in fact in many Hindi /f/ is used by native speakers instead of /pʰ/, or the two are used interchangeably. Inability to pronounce certain (especially word-initial) consonant clusters by people of rural backgrounds, as with some Spanish-speakers. This is usually dealt with by epenthesis. e.g., school /isˈkuːl/. Sometimes, Indian speakers interchange /s/ and /z/, especially when plurals are being formed, unlike speakers of other varieties of English, who use [s] for the pluralisation of words ending in a voiceless consonant, [z] for words ending in a voiced consonant or vowel, and [ɨz] for words ending in a sibilant. Again, in dialects like Bhojpuri, all instances of /ʃ/ are spoken like [s], a phenomenon which is also apparent in their English. Exactly the opposite is seen for many Bengalis. In case of the postalveolar affricates /tʃ/ /dʒ/, native languages like Hindi have corresponding affricates articulated from the palatal region, rather than postalveolar, and they have more of a stop component than fricative; this is reflected in their English. Whilst retaining /ŋ/ in the final position, many Indian speakers add the [ɡ] sound after it when it occurs in the middle off a word. Hence /ˈriŋiŋ/ → /ˈriŋɡiŋ/ (ringing). Syllabic /l/, /m/ and /n/ are usually replaced by the VC clusters [əl], [əm] and [ən] (as in button /ˈbuʈʈən/), or if a high vowel precedes, by [il] (as in little /ˈliʈʈil/). Syllable nuclei in words with the spelling er/re (a schwa in RP and an r-coloured schwa in GA) are also replaced VC clusters. e.g., metre, /ˈmiːtər/ → /ˈmiːʈər/. Indian English uses clear [l] in all instances like Irish English whereas other varieties use clear [l] in syllable-initial positions and dark [l] (velarised-L) in coda and syllabic positions. A number of distinctive features of Indian English are due to "the vagaries of English spelling". Most Indian languages, unlike English, have a nearly phonetic spelling, so the spelling of a word is a highly reliable guide to its modern pronunciation. Indians' tendency to pronounce English phonetically as well can cause divergence from Western English. For example, "jewellery" is pronounced /dʒʋeləriː/ and "jewel" as /dʒʋel/ where Western Anglophones might omit the final e, pronouncing them as /dʒʋelriː/ and /dʒʋl/. In words where the digraph <gh> represents a voiced velar plosive (/a/) in other accents, some Indian English speakers supply a murmured version [ɡʱ], for example <ghost> [ɡʱoːst]. No other accent of English admits this voiced aspiration. Similarly, the digraph <wh> may be aspirated as [ʋʱ] or [wʱ], resulting in realisations such as <which> [ʋʱɪtʃ], found in no other English accent. However, this is somewhat similar to the traditional distinction between wh and w present in English, wherein the former is /ʍ/, whilst the latter is /w/. In unstressed syllables, which speakers of American English would realise as a schwa, speakers of Indian English would use the spelling vowel, making <sanity> sound as [ˈsæniti] instead of [ˈsænəti]. This trait is also present in other South Asian dialects (i.e. Pakistani and Sri Lankan English), and in RP, etc.Similarly, <above> and <ago> can be heard as [eːˈbəv] and [eːˈɡoː] instead of [əˈbʌv] and [əˈɡoʊ]. Final <a> is almost always pronounced as schwa /ə/ in other dialects (exceptions include words such as <spa>); but in Indian English the ending <a> is pronounced as the long open central unrounded vowel /aː/ (as in <spa>) instead of /ə/. So, <India> is pronounced as /ˈɪnɖɪaː/ instead of /ˈɪndɪə/, and <sofa> as /ˈsoːfaː/ instead of /ˈsoʊfə/. The word "of" is usually pronounced with a /f/ instead of a /v/ as in most other accents. Use of [d] instead of [t] for the "-ed" ending of the past tense after voiceless consonants, for example "developed" may be [ˈdɛʋləpd] instead of RP /dɪˈvɛləpt/. Use of [s] instead of [z] for the "-s" ending of the plural after voiced consonants, for example <dogs> may be [daɡs] instead of [dɒɡz]. Pronunciation of <house> as [hauz] in both the noun and the verb, instead of [haus] as noun and [hauz] as verb. The digraph <tz> is pronounced as [tz] or [tdʒ] instead of [ts] (voicing may be assimilated in the stop too), making <Switzerland> sound like [ˈsʋɪtzərlænd] instead of [ˈswɪtsəɹlənd]. In RP, /r/ occurs only before a vowel. But some speakers of Indian English, primarily in the South, use /r/ in almost all positions in words using the letter 'r', similar to most American and some Irish dialects. The allophone used is a mild trill or a tap. Indian speakers do not typically use the retroflex approximant /ɻ/ for <r>, which is common for American English speakers. All consonants are distinctly doubled (lengthened) in most varieties of Indian English wherever the spelling suggests so. e.g., <drilling> /ˈdrilliŋɡ/. In certain words, especially Latinate words ending in ile, is pronounced [ɪ] in America and [aɪ] in Britain. Indian English, like most other Commonwealth dialects, will invariably use the British pronunciation. Thus, <tensile> would be pronounced as [ˈtɛnsaɪl] like the British, rather than [ˈtɛnsɪl] like the American; <anti>, on the other hand, use i, as [ˈænti] like in Britain, rather than [ˈæntaɪ] like in America. Similar effects of British colonisation are 're', 'ise', and 'our' spellings in words like 'metre', 'realise', and 'endeavour', respectively, which Americans would spell as 'meter', realize' and 'endeavor'. English is a stress-timed language, and both syllable stress and word stress, where only certain words in a sentence or phrase are stressed, are important features of received pronunciation. Indian native languages are actually syllable-timed languages, like Latin and French. Indian-English speakers usually speak with a syllabic rhythm. Further, in some Indian languages, stress is associated with a low pitch, whereas in most English dialects, stressed syllables are generally pronounced with a higher pitch. Thus, when some Indian speakers speak, they appear to put the stress accents at the wrong syllables, or accentuate all the syllables of a long English word. Certain Indian accents are of a "sing-song" nature, a feature seen in a few English dialects in Britain, such as Scouse and Welsh English. Indian English, naturally, has words of Indian vernaculars that have made their way into the English language, such as jungle, tank (water, irrigation), bungalow, shampoo and verandah. It has political, sociological, and administrative terms of modern India: dharna, hartal, eve-teasing, vote bank, swaraj, swadeshi, scheduled caste, scheduled tribe, NRI; it has words of Anglo-India such as tiffin, hill station, gymkhana; and it has slang. academic (noun) (also Canadian and U.S. English): In pl. : Academic pursuits in contrast to technical or practical work. Example: 1991 Hindu (Madras) 6 Dec. 27/2 For 14 years he immersed himself in academics and was a fine achiever. accomplish (verb, transitive), chiefly Indian English: To equip. Example: 1992 H. L. Chopra in V. Grover Political Thinkers of Modern India XVII. lxiii. 488 His insatiable thirst for knowledge accomplished him with all modern standards of scholarship. airdash (verb intransitive) Indian English, to make a quick journey by air, especially in response to an emergency. Example: 1973 Hindustan Times Weekly 25 Mar. 1 Governor B. K. Nehru, who airdashed to Shillong yesterday, flew back to Imphal. English-knowing (adjective) originally and chiefly Indian English (of a person or group of people) that uses or speaks English. Example: 1941 J. Nehru Toward Freedom vii. 40 The official and Service atmosphere... set the tone for almost all Indian middle-class life, especially the English-knowing intelligentsia. Example: 1893 Med. Reporter (Calcutta) 1 Feb. 57/1 Two permanent freeships, each tenable for one year and one of which is for the second and the other for the third year class. Example: 2006 Economic Times (India) (Nexis) 12 Oct., Private institutions can only develop if they are allowed to charge reasonable fees, while also providing need based freeships and scholarships for a certain percentage of students. matrimonial (noun) B. 3b. Chiefly Indian English. Advertisements in a newspaper for the purpose of finding a marriageable partner. Example: 1999 Statesman (Calcutta) 10 Feb., (Midweek section) 4/3 When I have a job I'll have to begin a whole new search for my better half... Back to the newspaper matrimonials on Sundays. Example: 2001 Hindu (Nexis) 20 June, The Prime Minister greeted the presspersons with a ‘namaskar’ and a broad smile. Example: 1998 Statesman (India) (Nexis) 2 Apr., There is an urgent need for setting up an independent authority for redressal of telecom consumer complaints. Example: 2002 Sunday Times of India 15 Sept. 8/4 Where does he go for the redressal of his genuine grievances? Example: 1986 Business India 8 Sept. 153/1 (advt.) Our Company lays great stress on technical training and knowledge upgradation. Indian English generally uses the same British English spelling as Commonwealth nations such as Pakistan, Australia, the United Kingdom, New Zealand, and South Africa. Similarly, in common with most of the Commonwealth, the final letter of the alphabet, Z is pronounced zed. In addition, the punctuation mark at the end of a sentence is referred to as a "full stop" rather than "period". ↑ Sedlatschek 2009, p. 1: Today many regional varieties of English, or Englishes, exist around the globe and are slowly but steadily gaining recognition. Indian English (IndE) is one of the oldest. ↑ Aatish Taseer (March 19, 2015). "How English Ruined Indian Literature". The New York Times. Retrieved March 21, 2015. It has created a linguistic line as unbreachable as the color line once was in the United States. ↑ Census of India's Indian Census Archived 14 May 2007 at the Wayback Machine., Issue 25, 2003, pp 8–10, (Feature: Languages of West Bengal in Census and Surveys, Bilingualism and Trilingualism). ↑ An analysis of the 2001 Census of India, published in 2010, concluded that approximately 86 million Indians reported English as their second language, and another 39 million reported it as their third language. No data was available whether these individuals were English speakers or users. ↑ "EF English Proficiency Index - A comprehensive ranking of countries by English skills". www.ef.com. Retrieved 29 November 2016. ↑ Desai, Dubey; Joshi, Sen; Sharif, Vanneman (2010). "HUMAN DEVELOPMENT IN INDIA" (PDF). Oxford University Press. ↑ "Number of children studying in English doubles in 5 years". ↑ "Court language is English, says Supreme Court". 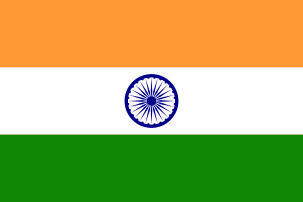 ↑ "EF English Proficiency Index - India". www.ef.com. Retrieved 29 November 2016. ↑ Mukesh Ranjan Verma and Krishna Autar Agrawal: Reflections on Indian English literature (2002), page 163: "Some of the words in American English have spelling pronunciation and also pronunciation spelling. These are also characteristic features of Indian English as well. The novels of Mulk Raj Anand, in particular, are full of examples of ..."
↑ Pingali Sailaja: Indian English (2009), page 116: "So what was Cauvery is now Kaveri. Some residual spellings left by the British do exist such as the use of ee for /i:/ as in Mukherjee. Also, some place names such as Cuddapah and Punjab"
↑ Edward Carney: Survey of English Spelling (2012), page 56: "Not all distributional differences, however, have important consequences for spelling. For instance, the ... Naturally enough, Indian English is heavily influenced by the native language of the area in which it is spoken." ↑ Indian English Literature (2002), page 300: "The use of Indian words with English spellings: e.g. 'Mundus,' 'raksha'; 'Ed Cherukka,' 'Chacko Saar Vannu'"
↑ Chelliah, Shobhana L. (July 2001). "Constructs of Indian English in language 'guidebooks'". World Englishes. 20 (2): 161–178. doi:10.1111/1467-971X.00207. ↑ Ball & Muller 2014: The comments on retroflex consonants also apply to southern Indian languages such as Tamil, Telugu, Malayalam. and Kannada. Speakers of these languages tend to use their own retroflex consonants in place of English alveolar It, d, n/. Although these languages do have nonretroflex stops, these are dental, and it seems that English alveolar stops are perceived as closer to the retroflex stops than to the dental ones. ↑ Sailaja 2007, p. 252: 1.4 Indian (Telugu) English: All the adults who participated in this study spoke a Telugu variety of Indian English. Telugu pronunciation of English is heavily influenced by the spelling. Two identical letters in a word are articulated as geminates. The articulation is also mostly rhotic ... In place of the alveolar stops, retroflex sounds are used. Some speakers would also use a retroflex nasal in place of the alveolar nasal, and a retroflex lateral in place of the alveolar lateral. ↑ Archived 1 September 2006 at the Wayback Machine. ↑ Varshney, R.L., "An Introductory Textbook of Linguistics and Phonetics", 15th Ed. (2005), Student Store, Bareilly. ↑ "Investors lose Rs 4.4 lakh crore in four days | Business Standard". Bsl.co.in. 2010-11-27. Retrieved 2013-11-07. ↑ "Corporate chiefs getting crores in salaries: 100 and counting! – The Smart Investor". Smartinvestor.in. Retrieved 2013-11-07. 'Hover & Hear' pronunciations in a Standard Indian English accent, and compare side by side with other English accents from around the World. "Linguistic and Social Characteristics of Indian English" by Jason Baldridge: An analysis of Indian language published by the "Language In India" magazine. On the future of Indian English, by Gurcharan Das. An exploration into linguistic majority-minority relations in India, by B. Mallikarjun. 108 varieties of Indian English, Dharma Kumar, India Seminar, 2001 (Volume 500). What are some English phrases and terms commonly heard in India but rarely used elsewhere?, Pushpendra Mohta 2012.